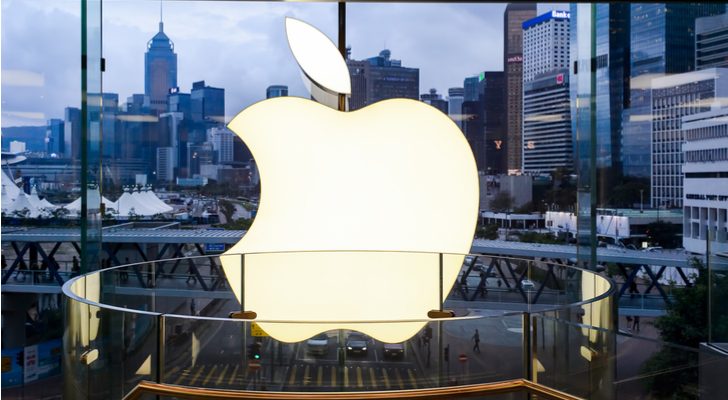 Home / Stock Picks / Stocks to Buy / Is Apple Stock the Best Buy Amid Market Pullback? Is Apple Stock the Best Buy Amid Market Pullback? Remember, there's always a big buyer for Apple... itself! All seemed to be fine halfway through last week, as stocks continued to bounce higher. Off less than 2% from the highs for most major indices, one could argue that everything still seems fine. But big drawdowns on Thursday and Friday have left investors spooked, and even stocks like Apple (NASDAQ:AAPL) were drilled. 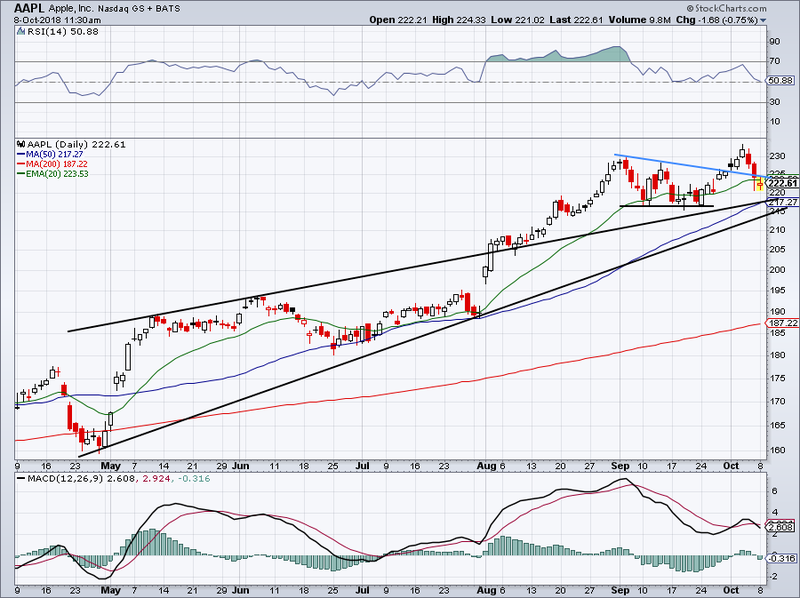 It brings up the question, should investors buy Apple stock on this pullback? After surging to a $1 trillion market cap, AAPL has been rather resilient in holding onto that figure. Unlike say, Amazon (NASDAQ:AMZN), which briefly topped $1 trillion before falling lower. But Apple stock is different. It has a much lower valuation, a much stronger balance sheet and a huge continual buyer as Apple’s buyback plan continues to consume the stock. Apple stock isn’t for everyone, but it’s one that everyone should at least consider. The stock is up 32% so far in 2018, which is a great performance. However, it’s about in-line with Microsoft (NASDAQ:MSFT) and vastly below the 60% year-to-date gains that Amazon sports. My point being that Apple’s performance, while solid, could still allow for more gains going into the fourth quarter. The stock has navigated through the iPhone event last month and now just needs to hurdle earnings later this month. So long as earnings don’t trip up the stock, AAPL should have a strong performance into year-end, given how well investors know the company will do during the holidays. The one caveat here is the broader market. Provided we don’t have a full-blown market correction, Apple stock should continue to do well. There’s a reason why Warren Buffett continues to buy more and more Apple stock for Berkshire Hathaway (NYSE:BRK.A, NYSE:BRK.B). I don’t think investors realize how big Apple’s capital return plan is. When you read the articles and make a case for Apple, the dividend and buyback are always mentioned. But just how powerful is it really? Apple’s fiscal Q3 results, reported in July, are the company’s weakest during the fiscal year. However, it still beat on earnings and revenue, churning out more than $53 billion in sales, almost $1 billion more than analysts had expected. However, during the quarter, Apple bought back about $20 billion worth of stock. While the $5 billion dividend payment is nothing to shrug at, $20 billion is especially notable. At a $1 trillion valuation, that’s about 2% of the stock — in one quarter! That’s fresh off the company’s $100 billion repurchase plan that it announced in May (along with a 16% increase in the dividend). Again, at a $1 trillion valuation, that’s about 10% of outstanding shares. In fiscal 2017, Apple generated operating cash flow of $63.6 billion and net income of more than $48 billion. For 2018, analysts expect Apple to grow earnings 28% and another 16.5% in 2019. With its high-margin Services segment logging annual growth of more than 30% and now nearing $10 billion in quarterly revenue, look for that to bolster Apple’s growth profile even more. In short, there’s plenty of fuel behind Apple’s massive buybacks. When Apple stock hit $230 in August, I grew pretty leery. In fact, I even said investors should book some profit unless they were in Apple for the very long haul. The reasoning was simple. In early August, AAPL was trading near $190. By the end of the month, it had risen $40 per share or about 20%. That’s too far, too fast. The way the charts were shaping up, we were looking for a pullback to at least $220 and ideally into the $200 to $210 range. Maybe that decline will still occur. Shares held up around $216 on the most recent pullback. On the rebound, AAPL cleared short-term downtrend resistance (blue line) and the 20-day moving average, going on to make new 52-week highs. After it got caught up in the recent correction though, perhaps now is a good time to initiate a long position in Apple. At the very least, interested investors should consider a starter position in the name. I don’t know what the market will do this week, next week or next month. No one does with 100% certainty. Should the market correct, Apple will likely go down with it. Maybe it bottoms at $210, perhaps at $200. But I’d rather get a piece of Apple stock on sale while I can and add on possible weakness, than risk having to chase it near its highs. Article printed from InvestorPlace Media, https://investorplace.com/2018/10/is-apple-stock-best-buy-amid-market-pullback/.